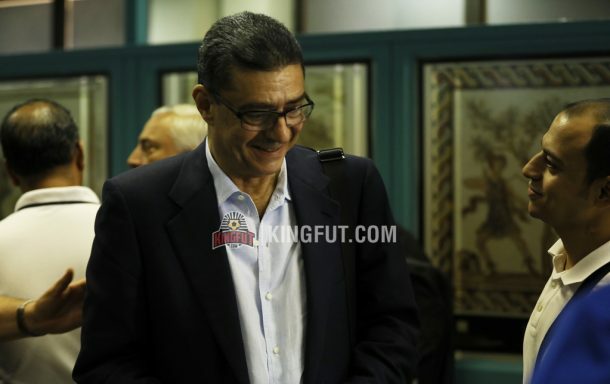 Al Ahly president Mahmoud Taher trusts that his side’s players will do their utmost to get a positive result against Étoile du Sahel on Sunday. The Red Devils have qualified for the semi-finals after beating Espérance Sportive de Tunis 4-3 on aggregate and will face Étoile du Sahel, who defeated Libya’s Al Ahli Tripoli 2-0 on aggregate. “Al Ahly always receive the best form of treatment from Étoile du Sahel. We have good relations with them for years and they will get the same exact treatment from us in Egypt,” Mahmoud Taher said. “I trust the players to be responsible on Sunday especially that the Étoile du Sahel game is more difficult and fiercer than the Espérance one. There has been a lot of support from the local media for the Tunisian club after they reached the semi-finals. “Al Ahly players and staff are determined to win the game to achieve the fans’ dream of winning the Champions League for the ninth time and reaching the Club World Cup,” he added. Étoile du Sahel will host Al Ahly at Stade Olympique de Sousse on Sunday, October 1 at 19:30 CLT, before travelling to Egypt to face the Egyptian champions at Borg El-Arab on October 20.